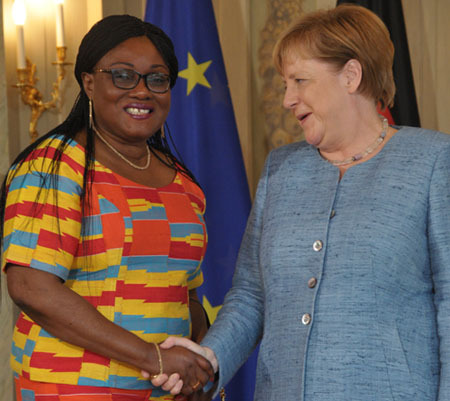 Chancellor of the Federal Republic of Germany, Angela Merkel, will visit Ghana on the invitation of President Akufo-Addo in late August, the German Embassy in Accra has announced. Ambassador Christoph Retzlaff, flanked by his deputy Hans-Helge Sander, said at a brief news conference that Chancellor Merkel is expected to be accompanied by the Federal Minister for Economic Cooperation and Development, Gerd Müller and a high-level business delegation. He said the Chancellor, who is arguably the most powerful woman in Europe currently, is scheduled to embark on a tour of Africa, visiting Ghana, Nigeria and Senegal. The German Ambassador said Chancellor Merkel will spend a day in Ghana and hold high-level meeting with President Akufo-Addo, but added that a chunk of her delegation will stay for another day to deepen economic cooperation and bilateral relations with Ghana. “The visit to Ghana will be the first of a German chancellor to Ghana since 2004. This visit underlines the strong and deepening partnership between Ghana and Germany,” he said.